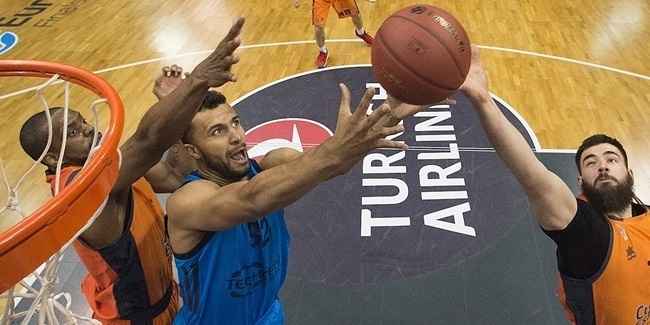 With passes ranging from the simple to the sublime, Peyton Siva dissected the Tofas Bursa defense as ALBA Berlin overpowered its opponent with a 107-91 victory on opening night. 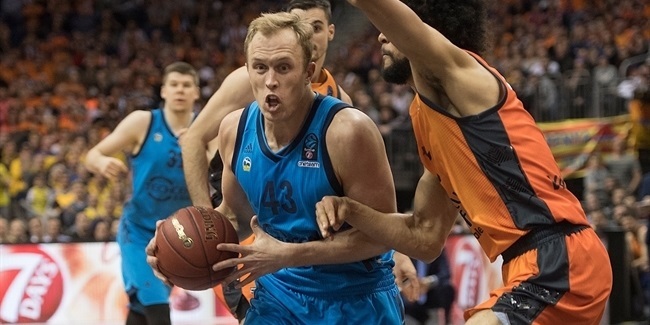 In its 150th 7DAYS EuroCup game, ALBA had its second-highest point total ever without overtime. Basketball Twitter was abuzz as Siva racked up 11 assists by halftime and 14 by the midway point of the third quarter. It seemed a foregone conclusion that he would reach Omar Cook's EuroCup single-game record of 16 assists (set in November 2014 for Buducnost VOLI Podgorica). However, Siva went out for a rest with 4 minutes left in the third quarter and his team rallied from a two-point edge to a 12-point cushion in the time he sat, rendering his playmaking less critical down the stretch. ALBA would not have been in that position without Siva's heroics, however. Of his first 7 assists, 6 went to different players. Siva found men open on the perimeter, at the rim and on the break. His constant motion against a strong Tofas defense kept the visitors off balance all game long. And Siva did more than just pass; he tallied 9 points without missing a shot! Even though he ultimately finished one point short of a double-double, it was a performance to remember and one that fans in the German capital hope to see many encores of.